Help satisfy cravings and keep your weight-management goals on track this season with the delicious fun-size Protein Bites Fun-Size Treats Variety Pack. These tasty, guilt-free snacks are a treat for you or a loved one, and are now available in four delectable new flavours! 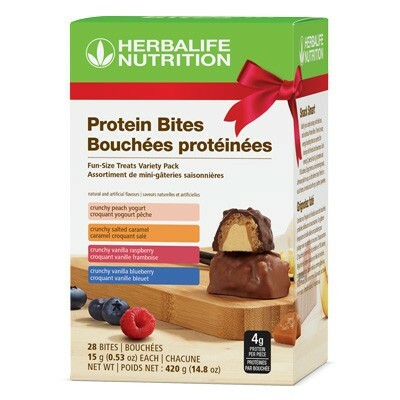 Enjoy the Protein Bites Variety Pack at home, at work or on the go, anytime, anywhere. Available while supplies last. Enjoy up to two servings per day (4 pieces) per day for nutritious snacking as part of a weight-management program.